Each of the tablets contain 25 blood type specific charts that combine three approaches to nutritional balance into one convenient reference. 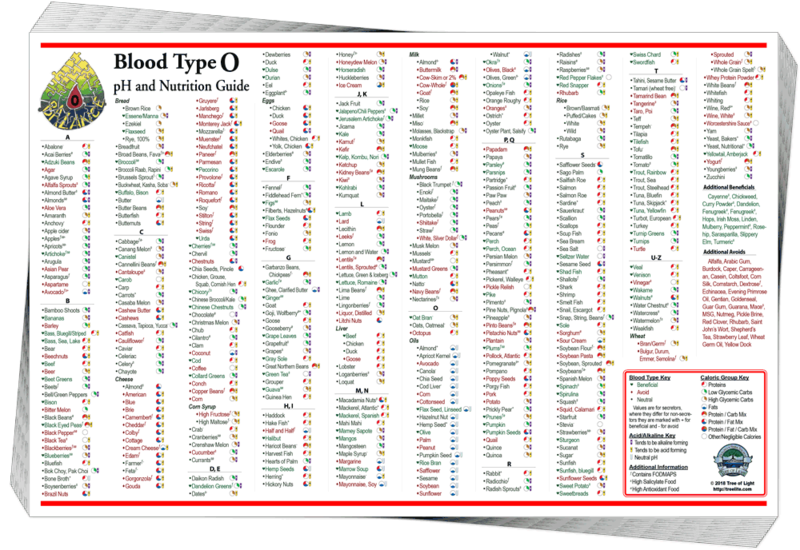 Each chart presents foods which are beneficial, neutral, or to-be-avoided for each of the four blood types. They also indicate acid or alkaline forming foods and information for zoning your food program (balancing carbohydrates, proteins, and fats for optimal health, glandular balance, and weight loss). On the back of each chart is a description of the strengths and weaknesses of that blood type and a complete listing of NSP supplements beneficial for that blood type. These charts are excellent to give to clients in a consultation. They make it quick and easy to counsel people about nutrition without having to spend additional time in your consult or go through years of training. 25 pH & Nutrition guides containing all the information in the laminated versions.